"In a London flat, two young boys face the unbearable sadness of their mother's sudden death. Their father, a Ted Hughes scholar and scruffy romantic, imagines a future of well-meaning visitors and emptiness. In this moment of despair they are visited by Crow - antagonist, trickster, healer, babysitter. This self-described sentimental bird is attracted to the grieving family and threatens to stay until they no longer need him. As weeks turn to months and physical pain of loss gives way to memories, this little unit of three begin to heal"
This is probably one of the most interesting books I have read this year. Interesting mainly because of the way the author, Max Porter, chose to portray Grief. 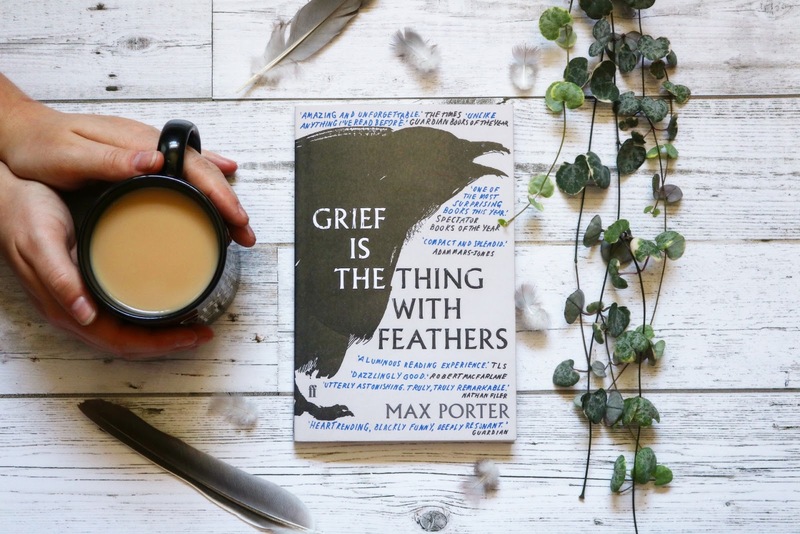 From what I could get my head around, Grief is portrayed as a crow, and Crow helps the characters within this short novel how to cope with the death of a loved one. I do have to say, it's not the easiest of books to get your head around! I felt like I needed to take this into an English Literature class and make annotations in the margins as to why the characters are thinking what they're thinking; what this could mean, what that could mean, so on and so forth. But I also loved how it challenged my perception of grief; that everyone experiences it in different ways, and that is shown with the interactions the Crow has with the Dad and the Boys. There were times when I had to step back from reading this book and wonder what the author meant at times, but I think all good books make you do that; they make you think. The main thing that intrigued me most about this book was that it isn't written in a traditional book format. It's part novella, part polyphonic fable, part essay on grief and may not appeal to those who are seeking a traditional tale, but I promise that if you stick o it, you won't be disappointed! I feel like I need to read this again to fully understand what the author is trying to tell me. The content is tragic, yet beautiful; brutal, yet speaks worlds of truths. It's somewhat heartening to see someones reaction to grief and how they deal with it, as I'm sure we have all experienced grief in different ways. If you have read this book, or are in the middle of doing so, let me know what you think! I would love to hear your thoughts on this book as it is a really interesting one!